BT today announced a further expansion of high-speed fibre broadband in Calderdale. More than 2,000 local homes and businesses are to benefit. The company expects this to be the final community in Calderdale to be included in its £2.5 billion commercial roll-out of fibre broadband in the UK. Future announcements will focus on areas where fibre coverage is to be expanded even further via partnerships with the public sector and local communities. Openreach, BT’s local network business, will carry out work to connect the areas announced today between now and the end of Spring 2014, subject to planning and technical constraints. The expansion also includes further investment in making fibre broadband more widely available in Halifax which already has the high-speed technology. Councillor Tim Swift, leader of Calderdale Council, said: “Our drive for super-fast speeds is well under way in Calderdale and today’s news from BT of further local investment to enable faster broadband speeds is very welcome for Ripponden businesses and residents. “Developing such critical infrastructure will promote a stronger, more competitive economy and give our small businesses and start-ups the means to compete, grow and reach their true potential. Fast, reliable internet is also important to our local residents, allowing them to access public services more easily; save money, apply for jobs and shop online. Today’s announcement will take the total number of premises with access to fibre broadband in West Yorkshire to around 775,000. Around 557,000 are already able to get the service - and BT is working with the public sector to reach more communities through the Superfast West Yorkshire project. Tom Keeney, BT’s regional director for Yorkshire and the Humber, said: “This is an exciting time for the digital future of Calderdale with widespread availability of fibre broadband services fast becoming a reality for thousands of local homes. 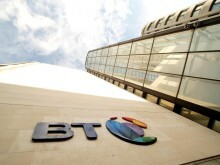 BT’s fibre footprint currently passes more than 16 million UK homes and businesses. It is due to pass two-thirds of UK premises – around 19 million premises – by the end of Spring 2014, at least 18 months ahead of the original timetable. Openreach is primarily deploying fibre-to-the-cabinet (FTTC) technology, where the fibre runs from the exchange to a local roadside cabinet. In addition to download speeds of up to 80Mbps, FTTC also delivers upload speeds of up to 20Mbps2 — and could deliver even faster speeds in the future. Openreach has also started to make fibre-to-the-premises (FTTP) technology, where the fibre runs all the way to the home or business, commercially available on demand3 in certain areas where fibre broadband has been deployed, and plans to expand access in due course. FTTP on demand offers the top current download speed of 330Mbps. According to the regulator Ofcom, the current average UK residential broadband download speed is 14.7Mbps. 2These are the top wholesale speeds available from Openreach to all service providers; speeds offered by service providers may vary. 3 Openreach will levy an installation charge for FTTP on demand. It will be up to service providers to decide whether they pass that on to businesses or consumers wishing to use the product.